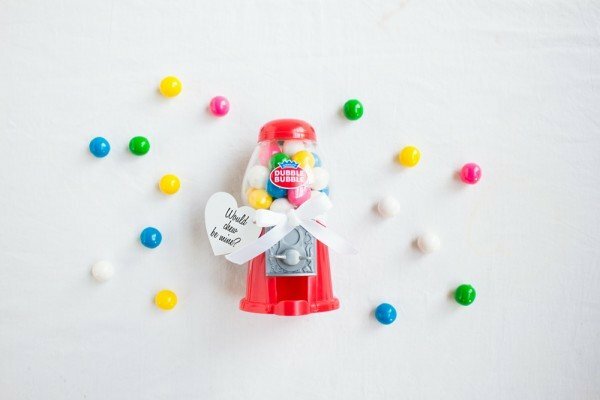 Summer is around the corner, and we’re dreaming up all kinds of ideas for the most romantic beach wedding. 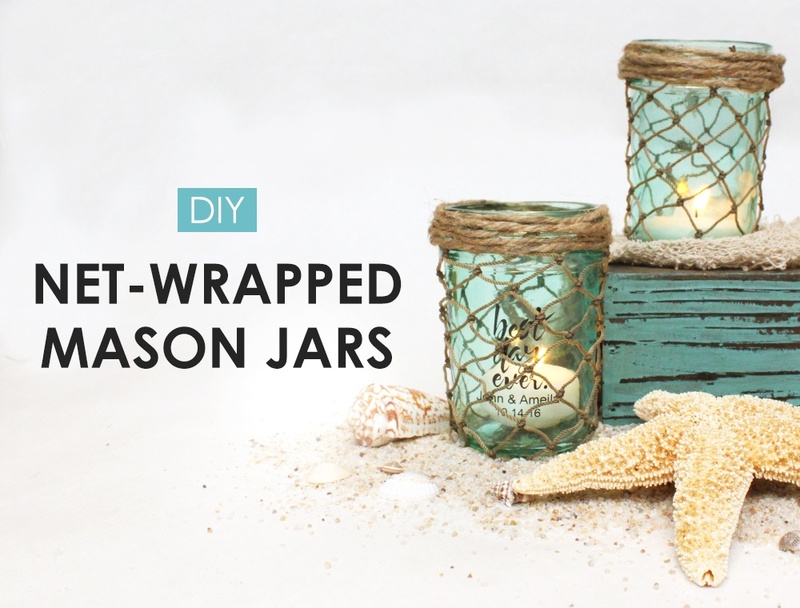 We loved the look of these colored glass mason jars wrapped in netting; they’re great for tea light candles, as table decoration, or as favors, filled with candy or seashells. 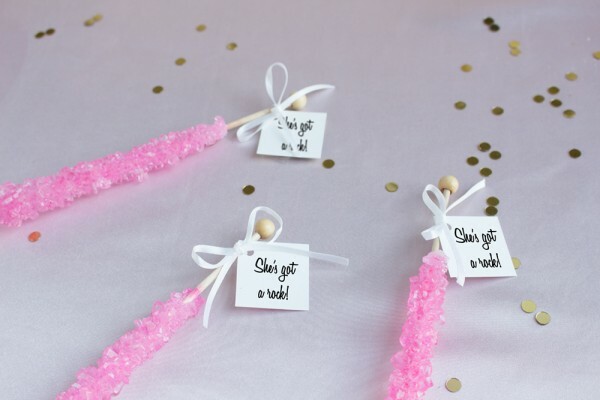 Keep reading for step-by-step instructions for this easy DIY project, just in time for beach wedding season! 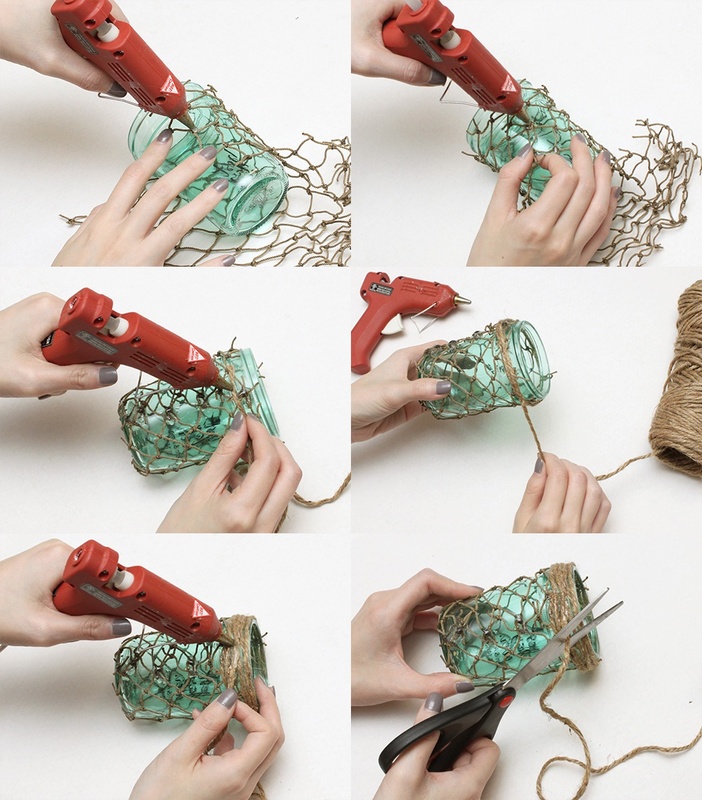 Measure and cut enough netting to cover the jar, including the bottom. 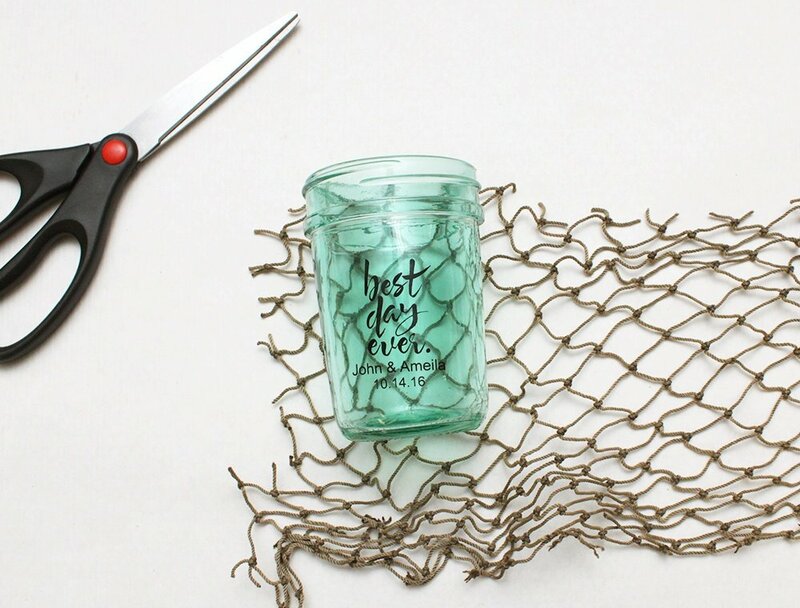 Secure one side of the netting to the jar by dotting glue at the ends. Then, wrapping the net around, secure the other side to the same spot with more glue, forming a seam. Continue the seam across the bottom of the jar. Trim any excess netting. 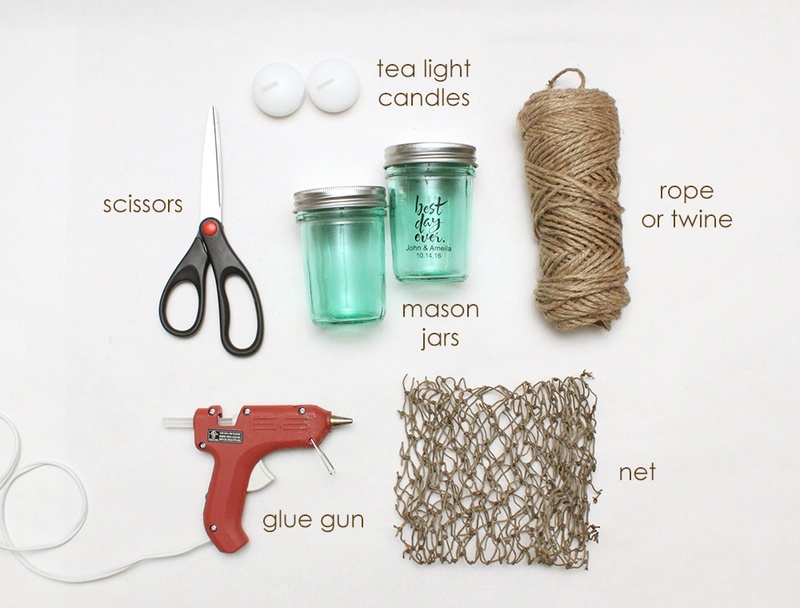 Take one end of twine and secure to the rim with some glue, right above the seam. 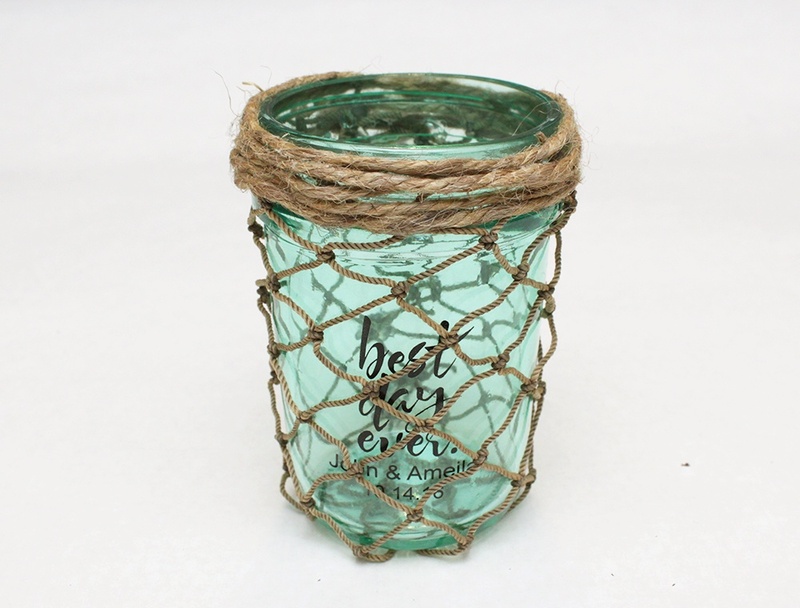 Then wrap the twine around to cover the rim and the top of the net, ending at the same spot above the seam so that all of your glue is facing one direction (the back!). 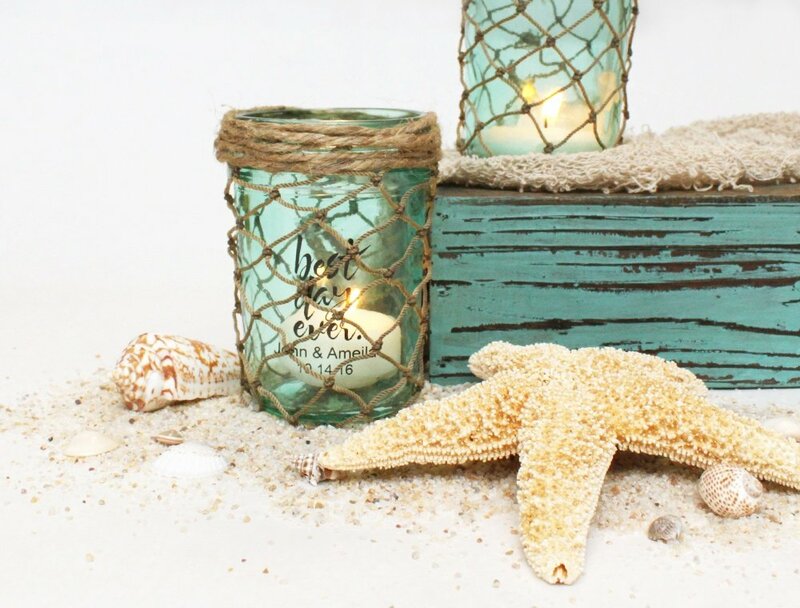 Drop tea lights into your jars and surround with sand and shells for mood-setting, beach wedding decorations!